The Republic of Singapore is a truly fascinating modern city-state and island country in Southeast Asia. With origins as a modest fishing port, then a strategic colonial trading post and now a prosperous international city, Singapore is bustling and ambitious metropolis which reclaims land from the sea to promote landmark development projects such as the incredible Marina Bay Sands. With a land surface of approximately 700km2, this tiny state is separated from Malaysia by the Strait of Johor and comprises around sixty islands, including the main island of Pulau Ujong. Two islands offer astute tourists some amazing adventures away from the city’s skyscrapers: Sentosa Island, with its Universal Studios Singapore theme park, and the delightful Pulau Ubin, where bicycles are king. 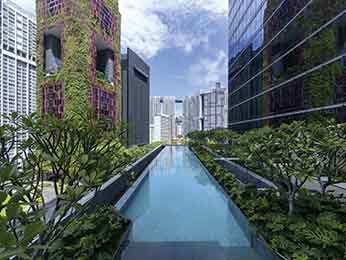 Although powerful on the worldwide economic scene, technologically advanced and home to its fair share of skyscrapers, Singapore has managed to remain incredibly green. 165 hectares of virgin forest, home to monitor lizards, eagles and monkeys, can still be found in Bukit Timah nature reserve. Parks and plantations fill every nook and cranny left untouched by urbanism: on rooftops, on the ground and even on its building’s façades, thanks to environmentally friendly architects who are keen to create walls filled with plant life. One of Singapore’s latest attractions, situated next to the Singapore Zoo and the Singapore Botanic Gardens, is the impressive Gardens by the Bay, which sets off the panorama of the Marina Bay Sands perfectly, with its huge stylised trees. Singapore’s diversity is also demonstrated by its traditional neighbourhoods and multitude of cultures nurtured by immigration. On streets filled with historic shophouses - old-fashioned little homes that are also shops - it’s quite common to see a Hindu temple situated next to a Mosque or a Buddhist temple. People of a wide variety of religions and cultures live peacefully side by side in Singapore, each with their own identity, creating a vibrant and festive atmosphere, especially during the Diwali celebrations and the Chinese New Year. 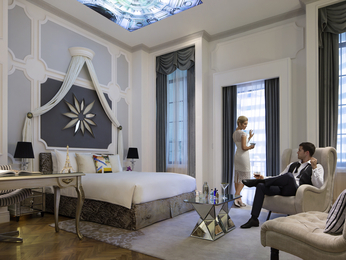 Colonial buildings, such as the elegant Raffles Hotel, live alongside towering constructions made of glass and steel, finishing off the modernist tableau of a Garden-State with a hundred different faces. 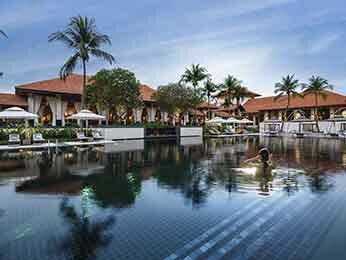 While Changi Airport may be an attraction in itself, due to its orchid garden, swimming pool and cinema, Singapore has gone beyond its status as a stop-over hub, and is now definitely worth a visit in its own right.